Defenses to Lawsuits - Hot plate! Hot Plate! 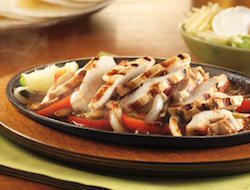 This week comes a news story in which a gentleman was at Applebee's and ordered a "sizzling skillet." The man then leaned over his food to pray and was struck with a burning sensation on his face and in his eyes. The plaintiff alleged that Applebee's was responsible for his injuries. Applebee's responded that by ordering the "sizzling skillet," he knew the plate and food were hot, and by placing his face so close to the food, he assumed the risk that an injury might happen. In a lawsuit, plaintiffs have the first opportunity to present their claim and make an argument about why the defendant is liable for whatever act or omission caused injury to the plaintiff. Defendants then have an opportunity to assert any defenses that may preclude liability. In this news story, Applebee's asserted an assumption of the risk defense. Generally, if a plaintiff is involved in a dangerous activity, like skiing or skydiving, and an accident happens, most defendants will assert that the plaintiff knew the activity was dangerous and appreciated how dangerous it was. By participating, the defendant would say, the plaintiff expressly assumed the risk, and the defendant should not be liable for the plaintiff's injuries. If a judge or jury agrees that the plaintiff knew or should have known about the danger, then the defendant will not be liable for the plaintiff's injuries, as so happened in the Applebee's case. So, when your favorite Tex-Mex restaurant reminds you the plate your enchiladas are on is a "hot plate," take heed and don't get too close.